You shouldn’t have to jump through hoops to book a meeting room for your next meeting. This is why we are offering MyMeeting App. Easy to use and integrates with outlook. It has a rather simple to use interface to use for entering event details. Also, it has a weekly and monthly graphical view calendar so that you can book your events with confidence. 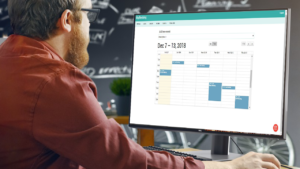 MyMeeting Events has a straightforward API so that if you want to pull data from the application onto your application or other calendars, it’s quite easy to do so with my booking event calendar. You can also enter the emails of the participants that are going to be present to invite them to the event. Professional image and presentation is everything, and this is why we added the feature to upload a picture that is relevant to the event or meeting room.